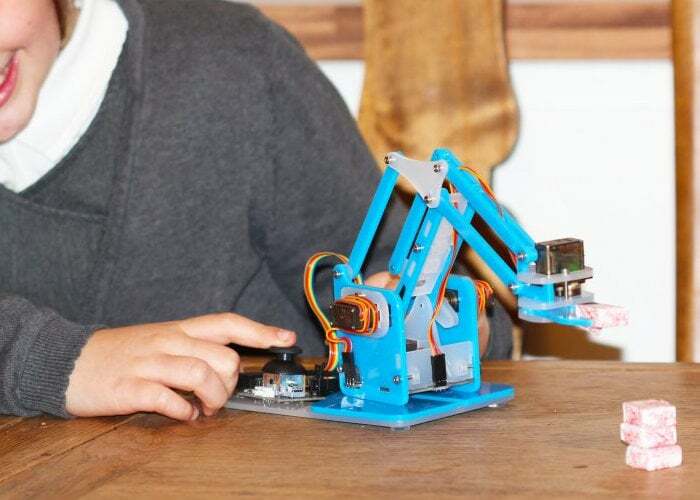 After a couple of successful Kickstarter campaigns the MeArm Raspberry Pi robotic arm kit is now available to purchase worldwide directly from the company’s own website priced at £70. Watch the demonstration video below to learn more about the easy to build robotic arm kit specifically designed to inspire both children and adults to enter the world of robotics engineering. For details on all the available kits jump over to the official MeArm online store to view the full range of Raspberry Pi and Arduino powered robotic arm kits.